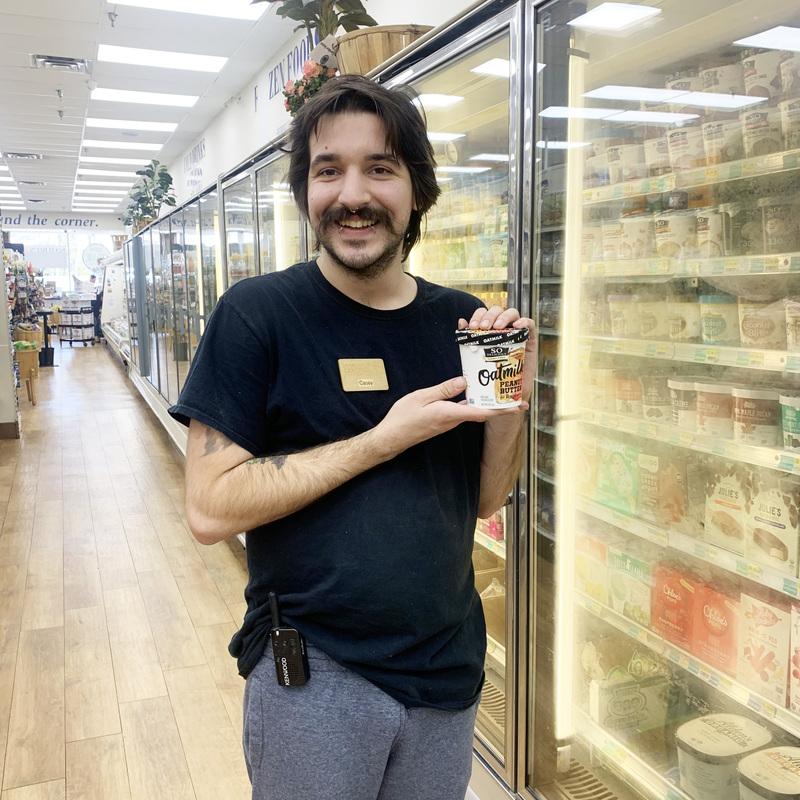 Casey’s Staff Pick this week is SO Delicious Oatmilk Ice Cream, a new product here at The Corner! This dairy-free frozen treat is creamy, rich and delicious just like regular dairy ice cream. It’s made from an oatmilk base that gives it a ton of flavor and a great consistency. It’s also Non-GMO, vegan and gluten-free! This entry was posted in News, Staff Picks. Bookmark the permalink.